Woohoo! Have I got something fun coming up! I've teamed up with fellow ghost authors Ann Fields and Zander Marks to bring you Ghost Scribes. We're having a do on October 30th, the day before Halloween, and everyone's invited. You won't want to miss this one. We're having games, prizes, and readings. Buy scary books and have the authors sign them! If you're in Dallas or plan to be in the neighborhood come Halloween, we'd love to see you there. 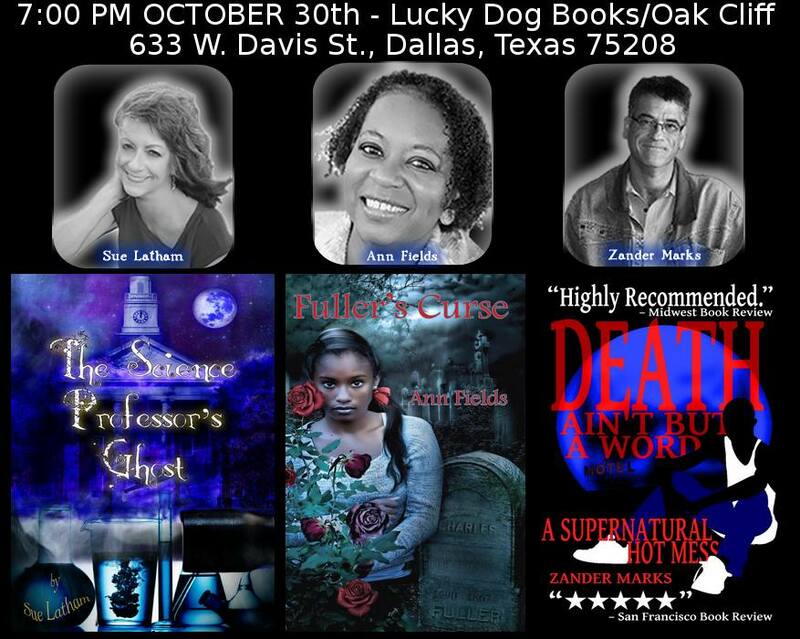 October 30 at 7:00 pm at Lucky Dog Books, 633 W. Davis in the Bishop Arts District. Hope to see you there.